When a trend gains momentum in China, it is not a wave but a tsunami. The change in behavior is astonishingly rapid and widespread. This past week, I moderated a panel on China’s Future of Protein at the 2050 China Food Tech Summit. In front of this audience of influencers and innovators, my adrenaline was fueled, yes, by the rapt attention of the room, but much more so by the sense that this conversation was just a small ripple in a much larger, thrilling shift in the current. Just this past week, we saw not only the 2050 China Food Tech Summit in Shanghai but also a plant-based food festival in Beijing and the announcement of a partnership between JUST and global venture accelerator Brinc. All of these are working toward a more sustainable food system from different angles: industry collaboration, consumer trendsetting, and startup acceleration. 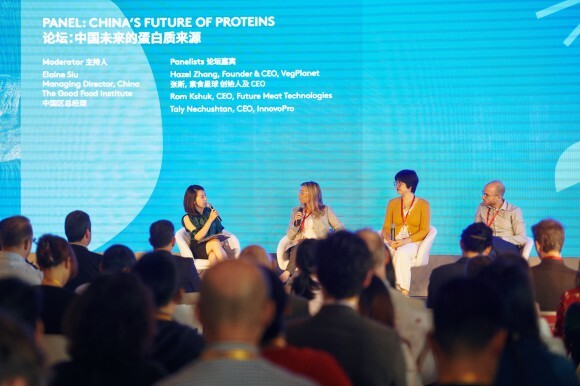 The panel that I moderated on China’s future of protein was one of several notable signals of the coming clean protein wave in China. Dr. Xun Yang, CEO of Triton Algae Innovations, a San Diego algae protein startup, was actively seeking downstream partners: “We are ready for China!” Food tech accelerator and summit host Bits X Bites announced the addition of chickpea protein company InnovoPro to their investment portfolio, which also includes the clean meat startup Future Meat Technologies. Meanwhile, at the Food’s Future Summit in Hong Kong, JUST announced their Made JUST platform, which is essentially a way to share their deep database of sustainable, functional tools from the plant and animal kingdoms. They’ll be debuting this toolkit through their new partnership with Brinc to launch the Food Technology Accelerator. With the benefit of JUST’s foundational research, participating startups will be able to create and iterate on new, sustainable products more rapidly. Finally, last weekend in Beijing, 60 vendors joined the first pop-themed plant-based food festival in China alongside with a dozen influencers, DJs, and fitness coaches. According to event host Dao Foods, a venture enterprise co-created by The Good Food Institute, the festival attracted over 10,000 people. But this is just a drop in the ocean. Tao Zhang, co-founder of Dao Foods says that they have set their eyes on the 400 million millennials in China, who will be the drivers of a huge demand for tasty and healthy plant-based food products. 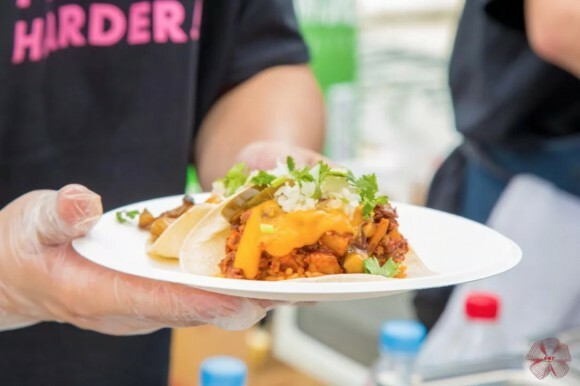 Alongside established, international plant-based brands such as Garden of Life and Oatly, many local budding entrepreneurs spiced up the street party. Founder of the first and only coconut yogurt brand in China Christiana Zhu has gained so much traction in the market that she is now raising funds to transform her niche, artisanal brand Yeyo into a potential disruptor to the $20 BN dairy yogurt market in China. Like we have seen in many other regions in the world, a good food ecosystem is forming. “Events like these help us identify talented entrepreneurs and companies whom we hope to work with to help scale their efforts to meet the growing demand for plant-based products,” says Albert Tseng, co-founder of Dao Foods. Come November, Dao Foods will be hosting an exclusive US-China Next Gen Good Food Forum in Beijing, China to bring together industry experts, entrepreneurs and investors from the US, China and Europe to support the development of the new plant-based food industry in China. China, the land that invented tofu thousands of years ago, is exploring new ways to put plant-based protein at the center of the plate.